About: Restarting my life by rebooting my life. I love to hike the mountains and valleys of Arizona, do Bikram Yoga, and provide service to my growing community. I use a Champion Juicer 2000, a classic Masticating Juicer. Hello RM, Thank you for the friend request.How long have you been juicing and or following Joe Cross reboot? You have some excellent comments below. I shall keep scrolling down and checking them all out. I’ve been doing the reboot for many many years , whenever I zag too long I zig right back. I’ve learned not to beat myself up, just be accountable and get back at it. No amount of weight is too much to lose; I’ve had friends drop 10 lbs and others drop 120 lbs. yes they put some back on but them they get back at the juicing. . Yes, I'm doing a juice only. This is my fourth attempt, the longest being 13 days. I really want to go the full 60 days this time. How about you? How are you doing on this journey? Can't wait to hear about your success! Nice to "meet' you Joe. I recognize a lot of myself in your post. I'll be rooting for you too on this journey! I was never overweight until my late 30s, then stress and office snacking caused my weight gain. But, today is a new day...right?! I'm looking to converse with like-minded people like yourself who can relate to my struggles and will share in my successes. Instead of focusing on the "big" number (90lbs), I'm going to take it day by day and celebrate weekly victories. For example, I'm replacing my daily Vitamin Waters with two fresh juices. Also no sodas (not really a huge temptation for me) and or milk (love it). And don't forget some pre-biotic fiber.Prebiotics are a type of dietary fiber that literally feed your good gut flora. Prebiotic fiber resists digestion, instead heading to your colon where it creates awesome energy producing short chain fatty acids. Prebiotics fall into several categories, including fructans and resistant starch. Each type feeds different healthy gut flora. We get our prebiotics from food like raw chicory root, Jerusalem artichokes, dandelion greens, garlic, and onions. Combining these prebiotic rich foods with foods rich in gut friendly solube fiber like apples, ground flaxseeds, and nuts, steady your blood sugar response to keep you fuller longer while they feed your good gut bacteria. Notes from Webinar on "Forever Transforming Your Relationship with Food". The webinar was summarized into Five Keys. Each key can help us to understand our relationship with food as a great teacher. They started the webinar by talking about some sad statistics: 1. An estimated 108 million Americans are on a diet. 2. An unbelievable 98% of those who diet gain back the weight they lose within a year. 3. Nearly 70% of American adults are classified as overweight or obese. 4. Nine out of 10 women in the U.S. are unhappy with their appearance. 5. 81% of 10 year old girls experience a fear of being fat. 6. Nearly 50% of girls aged 3-6 are already concerned about their weight. 7. Within about a decade, 67% of the U.S. population will have some form of diabetes. 8. Approximately 75% of all diseases could be prevented with better nutrition. 9. 74% of Americans report that they live with ongoing digestive discomfort. 10. In any given week, at least half of all adults complain of low energy or fatigue. So many people are walking around with a.Excess Weight, b.Body Image Challenges, c.Overeating, d.Emotional Eating, e.Binge Eating, f.Endless Dieting, g.Nagging Health Symptoms with their Moods, Low energy, Digestive Issues, and Low Immunity. People are walking around thinking "OMG" I can't control this, I can't manage it, it is my fault and there is something wrong with me." When we operate from the place that I am deficient, we turn to strategies that don't really work. The answers are essentially locked inside of us, they are within us, not outside of us. For all of our eating and health concerns, the solution is found within the problem.Another way to say that is our Symptoms, whatever you are dealing with, has a message for us. So instead of trying to suppress my emotional eating, instead of trying to force myself with willpower to stop my binge eating, instead of continuing on and trying to figure out all these strange ways to lose weight, we have to stop and listen because symptoms are telling us where we need to grow and improve. For example, if you are dealing with a digestive challenge it is about listening. Because a digestive issue can be caused by 12 different reasons: poor nutrition, compromised gut microbiome, the result of eating too fast, of stress in your life. It could also be the result of Post Traumatic Stress Syndrome, a stressor that happened to you decades ago. It can be related to digestive issues to a past history of emotional abuse, physical abuse, or sexual abuse. It can be a simple food allergy. It can be a difficulty that you are having at work or in your relationship that is causing the physiological stress response which will then shut down your digestion. That was a list of a dozen different reasons why we may have a digestive challenge, and if you go to a traditional practitioner, dietitian, nutritionist, or doctor they usually look within a narrow band width to solve your eating challenges or your health issues. When in reality the solution is usually more multi-dimensional. So whatever challenge you are facing when it comes to food it is not your fault, and if you have been told that then you have been misled. For example, emotional eating & binge eating & overeating is not a willpower issue yet that is what we are often told. Judgement from others may be that you are a weakling, that there is something wrong with you, that you are not good enough, and need to get it together. The Institute for the Psychology of Eating is turning this around through research and education. They work on the principle that your relationship with food is a great teacher. What does that mean? We are here to learn and grow, and every eating challenge and every health challenge is here to teach us. It is not here to make your life miserable. It is not here to just upset you and show you that the world is a terrible place. If you are in school and you have a great teacher, you have to learn your lessons to get to the next level and to graduate. And once you graduate you move on. So when a great teacher is talking, our job is to listen. When we hear the message in our eating challenge, it may be teaching us that we need to practice better nutrition. It may be teaching us that we are overeating. Overeating may mean we need to slow down when we eat, because when we eat too fast the brain does not register taste, pleasure, aroma and satisfaction. That is called the Cephalic Phase digestive response. You will be physiologically driven to eat more. So overeating is actually teaching you to slow down, relax, pay attention and take in the sensations of the meal. As opposed to “oh, you are a willpower weakling” when it is quite the opposite. We simply need to be present, so as to learn the lessons. Our job is to listen to that teacher, to get curious, to get inquisitive. So check this out, we just completely re-framed this. Instead of looking in the mirror and saying "oh my goodness, I am so terrible, I am awful, what is wrong with me?". Now we are saying to ourselves that I have this challenge with food or body, and this challenge is a great teacher and I will learn the lessons. This may mean a little bit of sleuthing, a little bit of noticing, watching, asking the right questions, because once again when you learn the lessons that your eating or your health issue is trying to teach you, then you graduate, you let it go, you move on. Notes from Webinar on "Forever Transforming Your Relationship with Food". The webinar was summarized into Five Keys. Each key can help us to understand our relationship with food as a great teacher. Key #2: How to Resolve Your Issues Once and for All. Most traditional approaches to food challenges attack the symptoms. The Institute’s focus is about learning how to master & understand the mind. The Institute looks at a combination of eating psychology and nutrition, so for them the key is to let go of the band-aide approach. They ask for people to stop attacking themselves and their eating issues, stop attacking their weight and the negative self- talk. These self-attacks put us into a stress response and when we are in a stress response, aka the physiologic flight or fight survival response, we completely change our biochemistry. In the stress response we produce more insulin and more cortisol, and when those two hormones secrete in excess day in and day out they will signal the body to store weight and store fat and NOT build muscle. Those hormones will also tell the body to not regulate appetite. When we speak negatively to ourselves we are changing our biochemistry, we are changing our appetite regulation mechanism and this makes it more difficult to help ourselves with food challenges. To resolve our food challenges once and for all, we need to listen to our relationship with food as a great teacher. We need to relax and we need to understand some key concepts that can really help us see ourselves. One of those key concepts is called Symbolic Substitutes. Once you understand that your mind is actually trying to help you by getting you what you need, you can learn more effective ways to get your needs met instead of turning to food. Symbolic Substitute is a psychological term that essentially says when a human being being can't get the thing that they really want, when we don't have those deeper needs met, we reach for the closest approximation thereof. We reach for a symbolic substitute. What are the things that we really want? We may want love, we may want intimacy, we may want touch, we may want a meaningful relationship, we may want a purpose in life, we may want a reason to jump out of bed and feel good about being alive on planet earth. When you can't get the love, the intimacy, the connection, the purpose, the relationship, the sense of destiny then we might reach for television, we might reach for mindless entertainment, and for many people we reach for food. Why do we reach for food? Because food helps you feel pleasure, food helps you feel good about yourself, food puts you instantly into the body's natural relaxation response, into the body's pleasure chemistry and in that moment we feel good. Think about any infant that you have seen. They can be crying, screaming, and going crazy and the minute they are given a bottle of milk they relax and are calm. So to the infant mind, and within your cellular memory, within your DNA, within your primitive brain, we remember that food equals love, food equals relaxation, food equals home base and that I am going to calm down. So humans have known for eons of time that no matter what kind of stress you are experiencing or what kind of lack of abundance you have, as soon as we turn to food we will feel better. This has been confirmed through multiple studies. Every eating issue that you can possibly think of, actually has a brilliant reason somewhere in biology or psychology. We are designed to reach for food as a symbolic substitute, and it is not a problem unless we do it too often. If your eating becomes excessive or problematic, then it is time to investigate further to better understand yourself and take the pressure off. Notes from Webinar on "Forever Transforming Your Relationship with Food". As you may remember, they broke down the webinar into Five Keys. Each key can help us to understand our relationship with food as a great teacher. Key #3: The Surprising Shift that can Make All the Difference. This difference happens to be in the mind, and in our physiology. This shift is all about stress and relaxation physiology. These are the most powerful drivers of nutritional health, of our natural weight, our natural appetite, and a healthy relationship with food. Have you ever had the experience of being anxious & upset, and during this you ate a meal? Later you started to feel like your food was sitting in your stomach, or you felt digestive upset. When you are under stress, we experience the classic physiological stress response which is also called a 'sympathetic nervous system dominance'. When we are in that stress response our heart rate goes up, our blood pressure goes up, and all our metabolic energy is re-routed into survival. Blood rushes to your arms and legs for quick fighting or fleeing, blood rushes to your head for quick thinking, blood moves away from your digestive organs because your digestive organs take a lot of blood flow to do its job. Under stress your digestion shuts down, you have not appetite control, stress hormones such as insulin, corisol, adrenaline, nor-adrenaline increase and when the hormones are secreted in excess they signal the body to store weight & fat and not build muscle. This is the opposite of what everybody trying to lose weight wants. 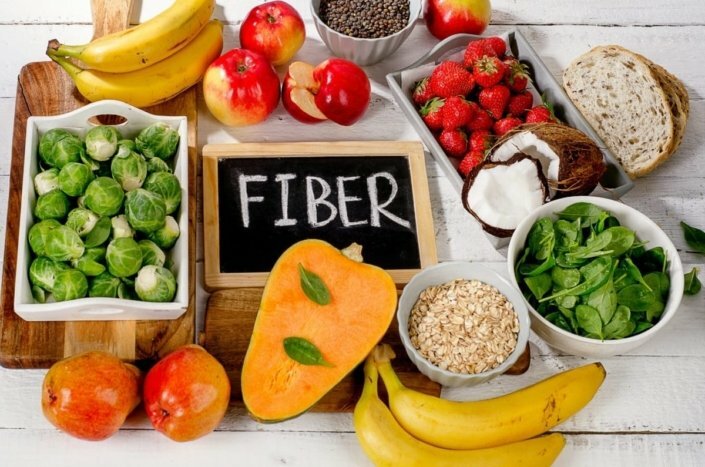 You could be eating the healthiest food in the universe, but if you are not under the optimum digestive state then you will not be getting the full nutritional value of your meal. The stress response excretes water soluble and fat soluble vitamins, micro and macro minerals, and kills off your healthy gut bacteria. it is important to put your body into relaxation physiology in order to heal any disease condition, any healthy symptom, and any eating challenge, because when it comes to a physiologic or metabolic issues the body does it's healing when it is in a physiologic relaxation response. This is also known as the para-sympathetic nervous system dominance. When does the body heal? The body heals when we are sleeping and when we are in relaxation. Self- Created Stressors: There are self- created stressors and real stressors. Self created stressors are optional and you don’t really need them. What is a self-created stressor? When you wake up in the morning and you look in the mirror and you say to yourself: I hate my body fat, I am not enough, I need to look a certain way. As soon as you think those thoughts, you will put your body into a physiologic stress response. The scientific definition of stress is any Real or Imagined threat, and the body's response to that threat. You could be sitting in a room right not all relaxed and think about some trauma that happened to you 10 years ago and you could literally put yourself into a stress response. The thoughts you think, the mantras you repeat to yourself, the affirmations you say to yourself, if those words are unkind then you are self-creating stress, you are changing your body chemistry, you are producing more insulin and cortisol, and the hormones are going to signal your body to store weight, store fat, and not build muscle. You are going to de-regulate your appetite, you are going to tell your digestive system to not be functioning optimally, which means you can be eating healthy food but be excreting some of the best nutrients from that food simply because of self-created stress. Another self-created stressor is trying to constantly create the perfect body. I just need to lose 10 or 20 more pounds and I will be perfect. How many people get into that perfectionist mentality and live there for years, beating yourself up whenever you have an incident. We are human and sometimes we will overeat or binge eat, but when you kick yourself when you are down you are just creating stress on top of stress. We have some incredible power when it comes to beginning to manage and heal and transform our eating challenges. Some simple things we can do right now is to put ourselves in a relaxation response. 1. A simple thing you can do right now to change your physiology and to change how you metabolize a meal, is to breathe right before you eat. If you take 5 to 10 long slow deep breathes before any meal, it will create the breathing state of the Relaxation Response. Every emotional state has a corresponding brain wave pattern and breathe pattern. The breathing pattern of stress is infrequent, arrhythmic and shallow. The breathing pattern of relaxation is regular, rhythmic and deep. So when you adopt the breathing pattern of relaxation, even though you are stressed, you literally fool your central nervous system to send nervous system signals down the spinal nerves through the body, through the hormones, through various biochemical pathways and in less than ONE MINUTE you will change your state from Stress to Relaxation and achieve optimal metabolism. This all happens from slowing down your breathing before eating and it is FREE. 2. The second simple thing you can do right now to change your physiology and to change how you metabolize a meal is to slow down when you eat food. About 85% of people say that they are a fast eater. The act of eating fast is considered by your body as a stressor. You can be the most relaxed person in the world, but if you eat your food fast your body goes into stress. Why? Because the way your physiology is designed, your body needs time to digest, assimilate, calorie burn, and access the nutrient profile of a meal. Dieticians told us about 30 years ago that the brain needs approximately 20 minutes to understand that it is full. This means that your nervous system has to scan the body, has to scan the meal, and there is a complex feedback loop between your brain and your gut about what is going on. So when you slow down with food, you give your physiology what it needs which is time to understand what is happening and that gives you a powerful natural appetite regulation. The Cephalic Phase (the Head Phase) of the digestive response is a fancy term for taste, pleasure, aroma, satisfaction and the visuals of the meal. When we miss the Head Phase of digestion, scientists state that 40-60% of your metabolic power at any meal (your ability to digest, assimilate, and calorie burn that meal) comes from the Head Phase of the meal. Your tasting of the meal, your experience of the meal, the pleasure you get from the meal, how nourished you are by the meal is all in the Head Phase. That accounts for 40-60% of your metabolic power. The reverse is that if you are not taking the time to get taste, pleasure, aroma, and satisfaction of a meal, you are metabolizing that meal with 40-60% less efficiency. As you relax, you improve your metabolism. 3. The third simple thing you can do right now to change your physiology and to change how you metabolize a meal, is to receive pleasure from that meal. Pleasure is a metabolizer, pleasure is a metabolic enhancer, and pleasure is not some frivolous thing. All organisms on planet earth, whether they are bacteria, lizards, lions, or humans, they are programmed at the most primitive level of their nervous system to seek pleasure and avoid pain. When you are eating food, you are seeking the pleasure of food and avoiding the pain of hunger and starvation. The relaxation response is the optimum state of digestion, assimilation, calorie burning, and your best appetite regulation. When you feel pleasure, no matter how stressed you are, you put your body into the relaxation response. Pleasure catalyzes the relaxation response. When you are experiencing a meal and getting pleasure from it, that pleasure helps you relax. So if you are going to eat a piece of cake, it behooves you to eat it in a state of pleasure because then you are putting yourself into the optimum state of digestion, assimilation, calorie burning, and appetite regulation. If you say to yourself: “OMG I should not eat this cake, it is going to make me fat”, then you make yourself all stressed out and eat the cake too fast and you don’t get pleasure from it. If you don’t taste the cake, then the brain will say “hmmm, I thought I was eating this delicious cake but I don’t remember the taste or pleasure of it. So guess what the brain does, it sends a new HUNGER message triggering a craving for another piece of cake in order to receive the satisfaction it was seeking. In a stressed state, we are desensitized to pleasure primarily from cortisol The bottom line is: a. slow down, b. relax, c. breathe, d. receive pleasure. This is all about the mind. We need to eat good food to be healthy, but it is the mind that makes that choice and it is the mind that often holds us back. How many times have you said or heard someone say, “oh, I know what I am supposed to do but I just could not do it?” Our thoughts are having a powerful impact on our relationship with food and our metabolism. As we learn to better manage our mind, to literally control and harness the mind, then we guide our way to health in a powerful way. The mind is more powerful than we think. An example is the Placebo Effect. A placebo is a fake, harmless, and inactive substance or preparation used as a control in an experiment or test to determine the effectiveness of a new medical drug. Every drug company is required by law to test their new drug preparations against a placebo control. Did you know that on average 50% of the effect of any prescription drug, or any over the counter drug, is due to the placebo effect? You can give people a fake pill ‘placebo’ and tell them that the pill is a powerful headache remedy. On average 50% of people with headaches, will have their headache eliminated by simply taking the fake placebo pill. This is the power of the mind, and is a well-documented scientific fact. When examining your relationship with food, it is important to factor in the power of the mind. A well-documented placebo story occurred in the early 1980's, when cancer researches were testing a new chemotherapy drug. To one group of patients they gave the actual chemotherapy drug. To one group of patients they gave the actual chemotherapy drug, and to the second group of patients they gave a fake chemotherapy agent, 75% of the patients who were receiving the actual chemotherapy started losing their hair. About 30% of the patients in the fake 'placebo' group started losing their hair too. Why? Because they knew that when someone is given chemotherapy, they will lose their hair. The power of the mind is so strong, that you can take a water injection and think that it is going to cause you to lose your hair and you do. There are so many people walking around that consider food as the enemy. They may love food and it gives them pleasure, but if they have been dieting for years, are overeating, binge eating, emotionally eating, or get digestive upset every time they eat, they can potentially develop a view that food is the enemy. They are over-eating, so it must be a food issue. They are binge eating, so it must be a food issue. They are emotionally eating, so it must be a food issue. So people start to associate food as the problem, as the enemy. The body views stress as any real or imagined threat. Food does not have any teeth, and does not plan to attack or destroy us any time soon, but if we view food as the enemy it can set up a stress response for the body. Food is just passively sitting there on the plate, it is harmless, but your body thinks it is going to be attacked and it will start to mobilize your physiology and biochemistry into a stress response. If you are walking around with the toxic nutritional belief that food is the enemy, you are literally changing your digestion because you are creating some degree of a stress response. Stress responses can be mild, moderate, or extreme. When people are thinking that food is the enemy, they are putting themselves through an internal self-attack and may not even realize it. Back in the 1960's, there was a half backed scientific truth that fat was bad. Science has slowly corrected that error in thinking, when it determined that there are some essential fats that we must eat to be healthy. Unfortunately, there are many folks in the general population that have not corrected their thinking and still believe that fat is bad. Essential Fatty Acids, EFAs, are required for life and must be eaten to lose fat. Are there poor fats? Absolutely. There are hydrogenated oils and synthetic fats that will cause you to gain weight. But healthy fats like olive oil, coconut oil, flax oil, and avocado will help you LOSE WEIGHT. It has been scientifically proven that healthy fats will physiologically move you into weight loss, and promotes your healthiest weight. There are so many people walking around that say, “when I lose 10 pounds I will be happier and I will have everything I need, but until then I cannot be happy or the real me”. They believe that when they eat the perfect diet, that they will then be able to be the ‘real me’ and that life will suddenly be great. Or they believe that when they are exercising in a certain way, that they will then be able to be the ‘real me’ and be happy and out-going. The truth is that you must start being the 'real you' right now, today. When we put our happiness or living into the future, we are simply affirming our unhappiness in the present. So many people play that game, and it is time to change it. People are trying to use their mind and willpower to change their behavior, but there is something deeper that is impacting them and that involves our emotions. Just like our physiologic ‘digestive’ metabolism that takes place when we eat food, process food, extract the nutrition from food, and excrete what we do not need from food. The same is true for our Emotional Metabolism process. We are human beings and we are full of all kinds of emotions, and emotions are what life is all about. When we are feeling emotions like love, rage, fear, anger, trust, intimacy, hope, we need to understand how those emotions affect our Metabolism. We need to take from those emotions what works, how to regulate them, how to digest them, how to extract what we need and to let go of the emotions that are no longer serving us. Our emotions are often times driving our food relationships and we may not be aware of it. It is time to pay attention and honor our emotions. The key to this is NOT to be an emotionless machine like eater, because remember food is about love. It is fine to feel the love and feel the pleasure of food. It is also fine to sometimes overeat, or to binge eat. If those moments do occur, instead of kicking yourself when you are down please let go and forgive yourself. In those moments, start to ask yourself why are you going down this road again? What is this experience trying to teach me? How can I get curious? How can I learn? If you do question these moments, you begin to strengthen your emotional metabolism. Another way of saying this is that we use eating and food to Regulate Our Emotions. What does this mean? If you are having a rough day at work and get home and binge late into the night, you may be eating because food can be relaxing. If you are having relationship difficulties and don’t know how to deal with them, you may be eating because food can be calming. If you feel your life is empty and you do not have what you want, you may be eating because food can fill you up. Or sometimes life feels overwhelming and is simply too much, so you may eat to numb yourself. We are constantly using food to regulate our emotions, and that is not a bad thing. We are all going to do it, so the key here is to start noticing how you do it and to get exquisitely better at how you do it. Howzit, how did your Day 8 go? I saw your post and happy your first week went well. You mentioned that your 'mood' can affect your appetite, so I am reposting my notes about Serotonin from 2 months ago. These notes are from a lecture at the Fat Loss Summit. Let me know if this is helpful, and I can send you more info on mood, depression, serotonin, and weight loss. Stay Strong & True. "I listened to one of the lectures from the Fat Loss Summit last night, and wanted to share some highlights with my Reboot Friends. I taped the other lectures, so I could listen to them later. All five speakers from yesterday focused on the Psychology of Weight Loss. They were Psychologists, Eating Coaches, and even a Psychiatrist. I wanted to share one thing I learned from Dr. Daniel Amen, the Psychiatrist. He wrote a book called Change your Brain, Change your Life. He focused on fat loss and brain health, particularly the chemical Serotonin. I have read about this chemical before, but it's function has always confused me. This guy really helped me get it and the magical AH HA moment occurred. Serotonin is the chemical that helps us feel good, be happy, flexible and have decreased food cravings. Women have 52% less Serotonin than men. Birth Control Pills drop Serotonin even more. SUGAR boosts Serotonin in an unhealthy way. When we eat sugar we increase our insulin production, and the insulin pushes Tryptophan into the brain. Tryptophan is the amino acid that is needed to make Serotonin. Tryptophan does not compete well with the other amino acids, so it struggles to find ways to cross the brain barrier. The short term benefit of the sugar creates long term problems in the form creating whole body inflammation, which leads to weight gain and fat development." He stated the most healthy way to boost Serotonin is EXERCISE. Exercise also decreases amino acid competition so that Tryptophan can cross the brain barrier. The other amino acids run off to help your muscles with the exercise, so Tryptophan is free to sneak into the brain. The reason we often crave COMFORT FOOD like mac & cheese or cupcakes, is because it is loaded with sugar & carbs. In essence the sugar & carbs are working as medicine when we get depressed by improving our brain mood with Serotonin. But remember that eating the sugar is not a problem free medicine as it leads to increases in insulin and this contributes to weight gain and fat deposits. It was a fascinating lecture, and really helped me understand my personal food habits and how to fix them. BOTTOM LINE: Exercise pushes Serotonin into the Brain just like sugar/carbs do, but Exercise does not cause Inflammation and does not cause Weight Gain and Fat Deposits. " thanks for the post... I do a lot of walking, long swift walks 4 times per week and its done me wonders. I admire your achievement of 100 days, it inspires me. Thanks Neil, I am glad you get out and do swift walks. I do too, and lately have been pushing myself from 120 beats per minute to 135 beats per minute. The 135 beats per minute is the weight loss pace. The Reboot is easy after 4 to 6 weeks, really. It just becomes your lifestyle routine and simplifies your life a lot. I had so much more free time when I was juice only, than now that I am preparing meals again. How many reboot days are you doing? How are you feeling? Thank You Trish. I am still trying to find words to explain the experience. I started out for a 10 to 15 day reboot, and it just kept getting easier and more and more parts of my life were coming into balance and healing, and suddenly I was at Day 100. Quite frankly, after day 30 it is an effortless process. The first 30 days were the hardest for me. Is It Safe to Juice White Potatoes? Hot or Warm Water for Morning Lemon Drink? Does Water Temperature Damage Lemon Enzymes and Effectiveness?